Did you just fill your car with the wrong fuel? Lost about what to do now? First, pick up your phone. Then, call us at Fuel Expert at 07720 875212 or at 0345 3669749. 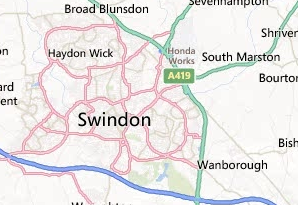 We’re one of the garages that remove wrong fuel 24/7 anywhere in the Swindon area. You don’t need to worry about how we’re going to go about removing the wrong fuel from your car because we’re licensed and insured to work on any car model. If it’s about the urgency of your vehicle’s misfuelling case, we can conduct our operation basically anywhere – on the road, in the filling station, or in the car park. Fuel drain Wroughton. A soccer team van wouldn’t start so we came to the rescue at The Weir Field and got them going in just an hour. Fuel drain Royal Wooton Bassett. We pity the elderly customer who sat helplessly inside her Volkswagen at the Total Petrol Station on High Street that we made sure we’d finish removing 15L of petrol in 30 minutes, which we did. Fuel drain Bridgemead. We were met with sweet cookies on a Sunday afternoon after we siphoned 3L of petrol from a customer’s Kia Sportage. We did it in 30 minutes, helping the customer not be late for her evening shift. We got the cookies as tips. Fuel drain South Marston. Some rugby players called us to drain petrol from a teammate’s Citroen C5. We got strong pats on the back when we got the car running again. Fuel drain Wanborough. Joyful parents were about to go home after watching their son’s recital at the Wanborough Primary School but their mood was dampened when the car won’t start. Apparently, they drove their Mercedes Benz with petrol in it, which we efficiently siphoned in 30 minutes. Another victorious moment for us! Fuel drain Dorcan. Our team had one of the most pleasant operations when a group of teenagers cheered us on while fuel draining their friend’s Toyota Auris. The cheering did motivate us to finish in half an hour. Fuel drain Bridge End. A customer told us to hurry to the Kanservices station because her Landcruiser had 4L of petrol in it. We emptied the tank fast using our very high flow equipment in 20 minutes and finished the rest of the operation in another 20 minutes. Fuel drain Chiseldon. French tourists staying at The Landmark on Station Road misfuelled their rental car. The rental car company called us to save their vehicle. We only did the draining, the flushing and the priming with diesel in an hour. Fuel drain Lydiard Millicent. A Jaguar X-Type stalled at The Street near The Sun Inn after being misfuelled, but we took care of it in 50 minutes. Fuel drain Shaw. A customer called us to the Shell Station on Shaw Road at 4am. He was headed for the airport but hurriedly and mistakenly filled his Citroen Zsara Picasso with petrol. We removed it though and sent him on his way without missing his flight.